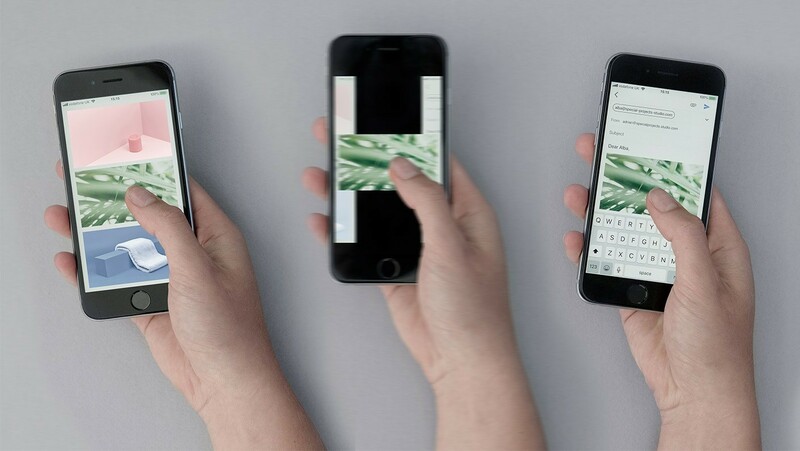 A design consultancy out of the UK has demonstrated a unique, but intriguing approach to multitasking that could easily work its way into a modern smartphone operating system. Dubbed Magic UX, the interface has been inspired by the way people work in the physical world and transfers that to a digital workflow. To do this, the designers have leveraged augmented reality (most popularly used for gaming) to create a more natural way of multitasking on a smartphone. The approach has been designed to overcome some of the everyday frustrations users face when undertaking workflows that would be a snap when undertaken in the physical world. For example, when moving between apps like copying text from a webpage into an email (which should be simple) is more complex device with a small screen. This is a problem the design team identified across a wide range of everyday tasks when switching between apps. A spatially aware interface, Magic UX allows users to virtually “pin” apps into a the equivalent of a physical space. Content can then be moved between apps by selecting it then dragging and dropping into another app by moving your phone, much as you would move between files and notes on a desktop in an office. Multiple desktops can be created or a suite off apps could be set to automatically launch when you arrive at a particular location. Undoubtedly the company will be shopping the interface around to companies like Google and Apple as it would most likely work best built deep into an operating system. Let’s hope it makes its way into our devices soon as it looks like a much more natural way of multitasking on smartphone than the limitations that we currently have to work around.